Three entities, all non-profits, currently aim to help Pine Bluff strengthen, whether through broad, city-wide revitalization or targeted economic growth and eventual economic development: Go Forward Pine Bluff, Pine Bluff Rising, and Delta Rhythm ‘n’ Bayous. These entities, their major goals, and progress are described here. Entity and Key Members: Task force established and funded by Simmons Foundation, a nonprofit affiliated with Simmons Bank. Operated with donation from the bank to this foundation for the purpose of establishing this task force. Task Force Chair Mary Pringos; Committee/Pillar Supervisor Carla Martin; task force members comprised of 100 Pine Bluff residents. Other key individuals: George Makris, Simmons Bank Chief Executive Officer; Tommy May, Simmons Foundation Chair; and consultants at UALR’s Institute for Economic Advancement (IEA), hired to facilitate research and guide this large task force that operated for well over a year. The history of this task force and its logo, designed by Aisha Shelton, have been covered by the Pine Bluff Commercial. Goals: To provide recommendations to the City of Pine Bluff for revitalizing according to each of four pillars: government/infrastructure, economic development, education, and quality of life. More specifically, to research Pine Bluff’s strengths and weaknesses, causes of problems, and strategies for dealing with those problems. Government/Infrastructure: Create master plan that includes city code updates; acquire and manage abandoned and foreclosed properties (through land bank); repurpose land in the downtown area; build a new multi-purpose center. Economic Development: Develop an innovation hub; target employability training; endorse renewal of 3/8 cent economic development tax. Education: Create an educational alliance; rely on the expertise of area colleges. For more information on the recommendations, link to Go Forward Pine Bluff’s full report on its recommendations, the Pine Bluff Commercial’s full article on the initial meeting, and KATV’s coverage of the same meeting. Additional progress: Scheduled follow-up Q&A meeting for residents: February 2, 2017, at the Arts and Science Center for Southeast Arkansas. These recommendations have been made, but it is up to local officials to decide whether to act on them. That, in turn, means it is up to the citizens of Pine Bluff to learn these recommendations and communicate with local officials about them. 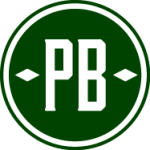 For contact information, please check the city’s website as well as PB Junction’s Elected Officials page and recent city council post (at bottom of post). Goals: To enhance economic development in Pine Bluff, strengthen infrastructure, improve quality of life, and improve the city’s image. Purchase of the Pines Hotel on Tuesday, January 17, 2017, for $1 from Elvin Moon. Further plans unknown until Pine Bluff Rising has inspection results. City’s Image and Quality of Life: Recommended neighborhood cleanup groups and local volunteer and youth mentorship programs. Summit meetings to be held once a month. In each meeting: discussion of progress made over last 30 days and goals for the upcoming month. Entity and Key Members: Non-profit with CEO Jimmy Cunningham, Jr. Goals: To lay the foundation for tourism-based economic development in a specific part of the Delta region, with Pine Bluff as one of two anchor cities (and with Greenville, Mississippi, as the other anchor). More specifically, to increase tourism-based economic development along Bayou Bartholomew and the U.S. Highway 65 corridor which extends from Pine Buff, Arkansas, south to Lake Providence, Louisiana, and eastward to Greenville, Mississippi; to base the tourism on the heritage of Bayou Bartholomew itself as well as the art and music born of this region. Development of plans to provide a well-paved avenue for entrepreneurs to establish businesses based on these concepts. Well done Karen. Keep up the great work and sharing value information about PB. Thank you, Pamela! I know I speak for many when I say I appreciate you, too, and all you do for the community.